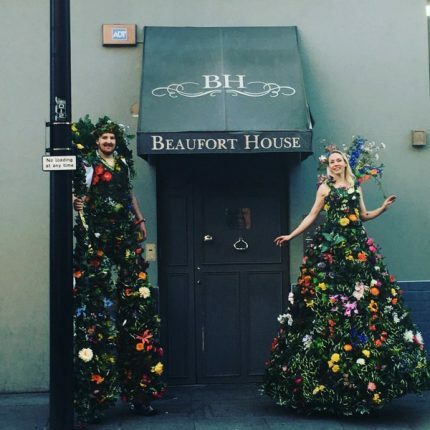 Kru Talent International took over Beaufort House on Tuesday (April 19th) for a spectacular evening of interactive entertainment and networking. Guests were invited to discover a selection of Kru Talent’s finest handpicked performers held at exclusive private members club, Beaufort House set over 2 of its 3 floor space. 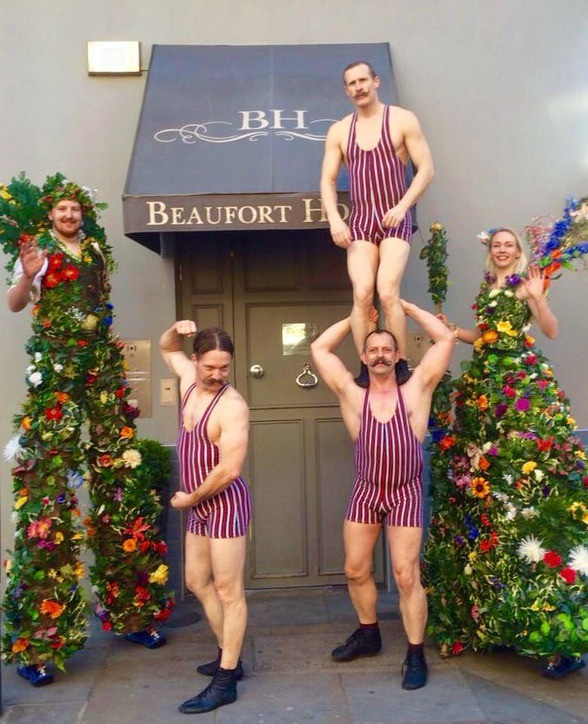 As guests arrived at 6pm, they were greeted in a highly dynamic environment by theatrical Living Flora sculptures and Victorian inspired acrobatic trio; ‘Moustache Balancers’. Once in the reception room, roaming portrait artists entertained attendees’ until they were ushered into The Showroom for a variety show performance introduced by magician and cabaret host extraordinaire, Christian Lee.